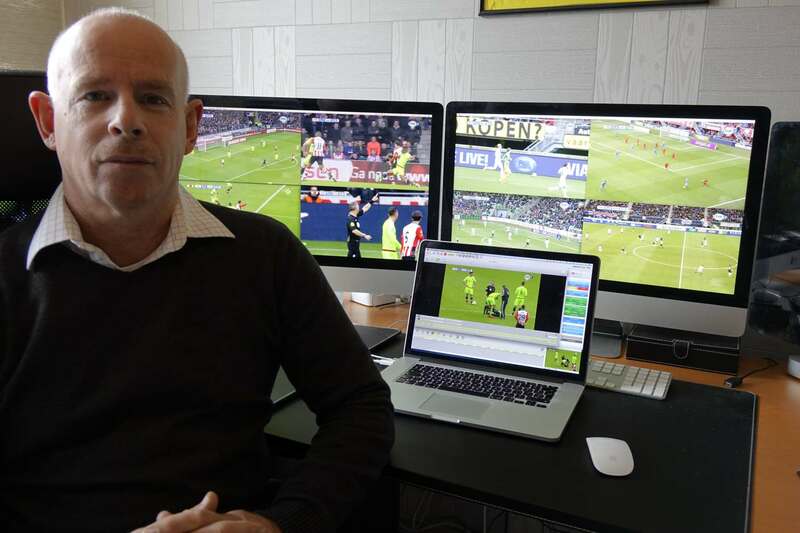 “When I watched and analysed a game of Bjorn Kuipers, I am exhausted”, says John Balvers, he is making video analysis for referees in The Netherlands. As soon Björn Kuipers got the appointment for the Europa League final he started with the preparation for that game. 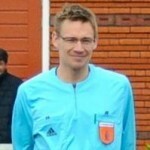 In the meantime Dennis Higler is officiating at the under 17 Euro’s. Busy days for the video analyst. In this interview, that I did before the Euro 2016 tournament, he tells more about how he works. 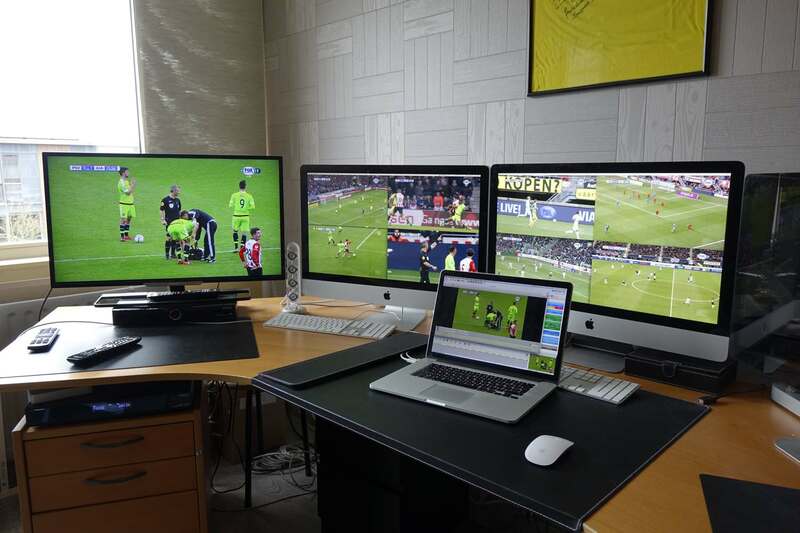 Balvers is a full-time video analyst for referees working for the KNVB, the Dutch football association. He helps all referees at the professional levels and this period he’s totally focused on the Euro 2016. He took his holidays right before the tournament started and tries to watch as many games as possible. “What I do is unique and doesn’t happen in many other countries, definitely not with a full-time video analyst specifically for referees.” Check video in Dutch made by KNVB about John Balvers. Every day during Euro 2016 Balvers waits for the moment new match appointments are published by Uefa. Sunday morning Uefa announced that Kuipers will officiate the clash between Spain and Croatia for next Tuesday. “Bjorn will notify me as soon as possible”, says Balvers. “The sooner I know which game he’ll officiate, the more time I have to make a video analysis for referees. 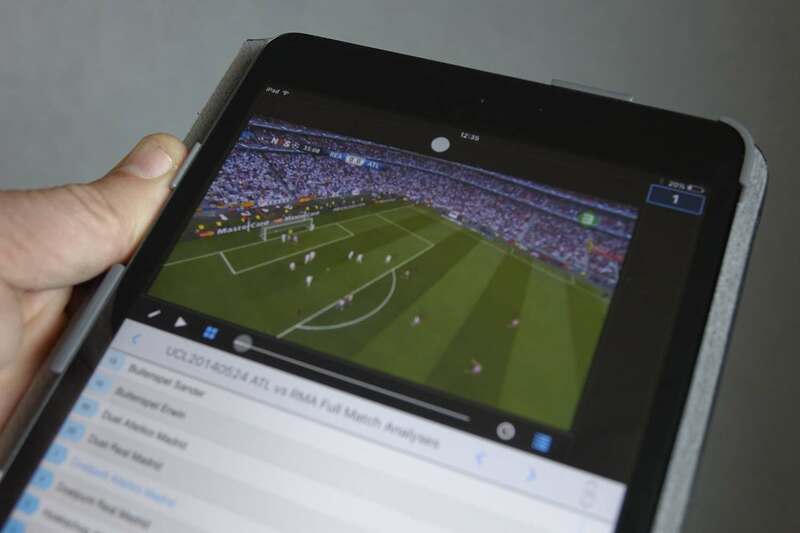 I’ll arrange with Bjorn what he needs for his preparation.” When officiating the Europa League semi-final between Sevilla and Sjachtar Donetsk, Balvers analysed their latest encounters in both European and national competitions. 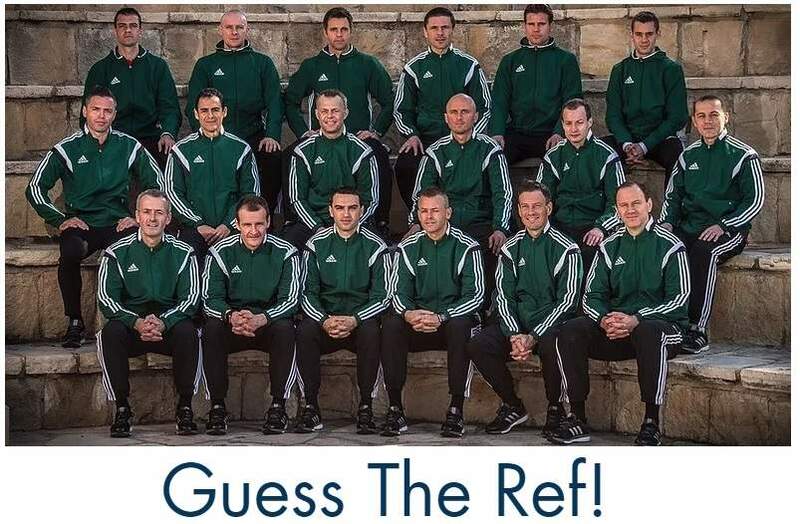 In the preparation of Kuipers’ games Balvers is collaborating with Jaap Uilenberg, the coach of the Dutch referee and also an Uefa referee observer. “We’ve also selected the video clips for the refereeing training camp before the Euro’s together”, he says. The analysis of Balvers is very comprehensive. He’s in his video lab at home and will watch all games and digitally types almost every detail of the game. If there’s a challenge, which player made a foul, who suffered the foul, where free kicks are, who take them, if corner kicks are swung in our out, which players get the ball often. “With all those stats you recognize how a team plays tactically and builds-up their attack or defence”, says Balvers. “Players often react the same way. In the game against Sevilla the Shakhtar Donetsk players took their corner kicks with short pass to a team mate. As referee you need to be aware that players that things will happen around the corner flag.” It gives the referee an idea where his focus (also) should be. In the image below you can see all tags Balvers made during a game of the Spanish team against the Czech Republic. All yellow cards (gele kaarten), challenges (duels), offsides (buitenspel) are tagged and Kuipers can check certain types of situations (only left wing attacks or so). Sometimes Kuipers will even get more than ten clips. “It’s up to him if he wants to see them. He can easily access them on his iPhone or on an iPad in the dressing room.” See image below for clips on the mobile device. After the game it’s now even possible to add the communication of the referees via their headset to the video analysis. “With the headset info referees can improve the way they communicatie with each other.” That’s something that has improved the most in Team Kuipers during the last years together with Sander van Roekel and Erwin Zeinstra, his assistants. Read interview with Bjorn Kuipers about progression his team made. please i need to have more video clips for knowledge. how can i get them? I will do case studies on my blog and otherwise ask your FA or search for clips on Google. Or join Facebook groups that are good for disussing topics. Please I need to know more about Video Analysis for Referees. Am interested, what and what do I have to do to get trained. 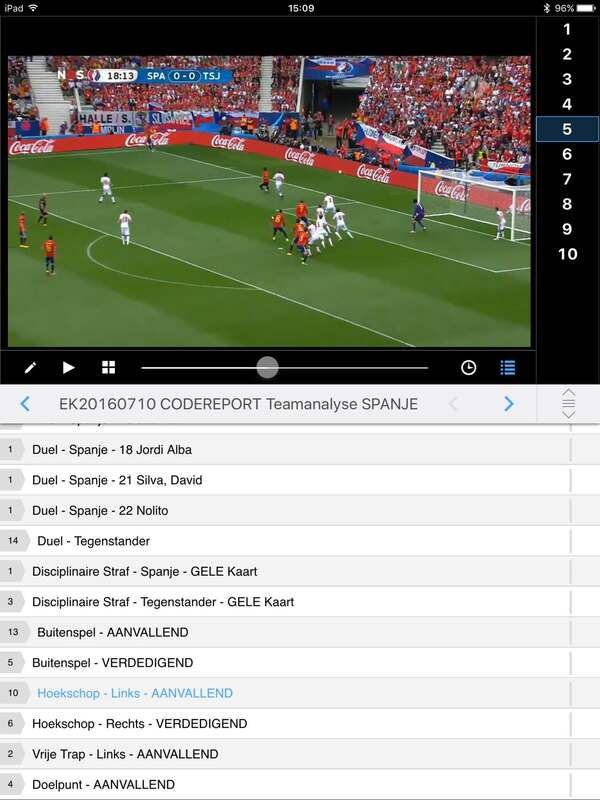 The KNVB works with a software program in which they can watch games and tag match situations (like: free kick, name of taker, name of team, position of free kick). That helps a lot. Not sure which software program actually.